On May 25, 1948, Betty (Brand) Hanlon invited the wives of the Moyers Corners Fire Department to her home proposing that they form an auxiliary. There were seventeen ladies present. Acting as chairperson, Betty explained that the purpose of an auxiliary was to help out the firemen in anyway that they needed. A vote was taken, and the auxiliary was formed. It was decided that a wife, mother, sister, or daughter of a fireman was eligible, and they must reside in the fire district. Elections followed with Betty (Brand) Hanlon, President; Carolyn Samuels, Vice President; Doris Bowley, Secretary; Margery Arnold, Treasurer. Corresonding Secretary and Chaplain were added later. At the second meeting, by-laws were formed and dues were set at twenty-five cents each month, which remains the same today. Through the years, by-laws were changed many times, including dropping 'Ladies' from the organizations name. It was decided to hold meetings at individual's homes. At the time, the men met at Lyman Melvin's barn, which housed the first fire truck. During the First Year, the auxiliary was able to purchase badges, helmets, and gloves for the firemen, as well as donate $100.00 collected through various fund raising efforts. 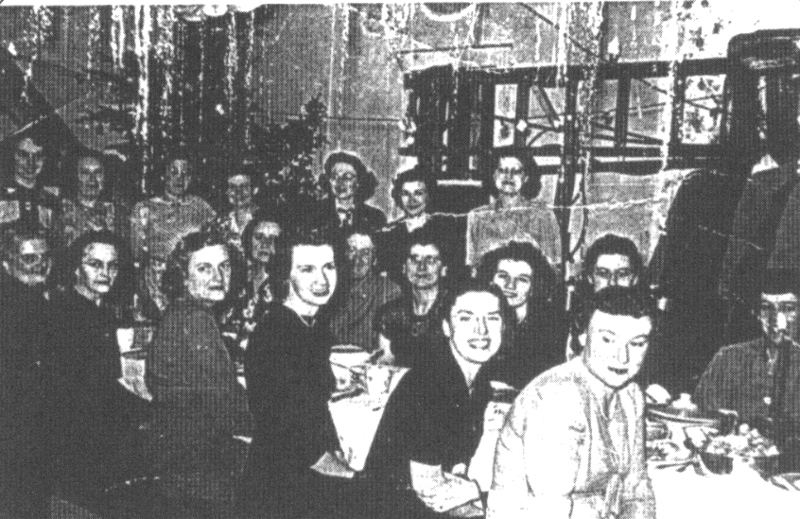 In June of 1948, the auxiliary joined the Onondaga County Auxiliary of North Syracuse, and later joined the New York State Auxiliary in May of 1949. Delegates were appointed to the County and State. At this time, all members attended monthly county meetings which were held at different firehouses. Presently, the County does not meet in January or February, and the auxiliary not pays the expenses for our delegates to attend the State Convention, held at the same time as the men's, in a different city each year. The Auxiliary meeting in 1949 at Melvin's Barn. In 1949, under a tent that stood where Station 1 is now, we held our first Field Days. The following year they were held on Elmcrest Road under tents, and this was when we bought uniforms and accessories to start marching. A first place was won in Baldwinsville. All of the auxiliary members marched, and were led by two girl scouts carrying their banner. While the firemen were building the fire station, the auxiliary would feed the men at Betty's house. In September of 1949, the held their first meeting at the new fire house, which is presently across the street from Station 1, and the site of our old field days. In 1950, the gave the firemen $100.00 to purchase a inch-and-a-half nozzle and new coats. Shortly after, we held a kitchen shower to stock our kitchen. In 1951 and 1952, the auxiliary purchased the firemen's first ambulance, which was was used, for $500.00. The auxiliary was accepted to the Strike It Rich program in New York City, in which several of the girls participated in. The auxiliary took full responsibility for the ambulance, including insuarance and the supplies for several years. Supplies included a cardiac monitor, stair chair, neonatal resuscitator, power pack, rescue kit, and rescue saw. As the insurance increased, they only paid half. Some of the girls took first aid and rode in the ambulance. The would also ride on the ambulance and assist with relay of patients from one city to another along the thruway. Their first dinner was held at the Methodist Church in Euclid, prior to the firehouse being built. 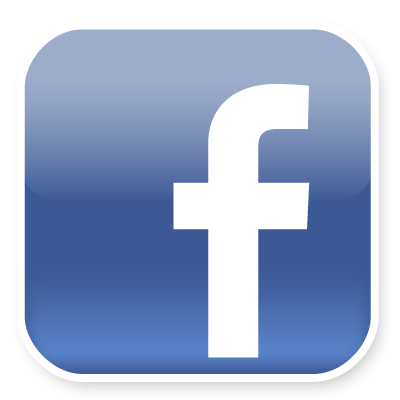 Through the years, they held various money making projects. Included are white elephant sales, bake sales, Stanley and Dutchman parties, cosmetic parties, wedding receptions, calendar dinners, cake walks, sample fairs, chicken barbecues, dances, amateur nights, and fashion shows. The also sold vanilla, magazines, food choppers, pocket books, cookbooks, peanut brittle, cards, and belt rings. They advertised on card tables. 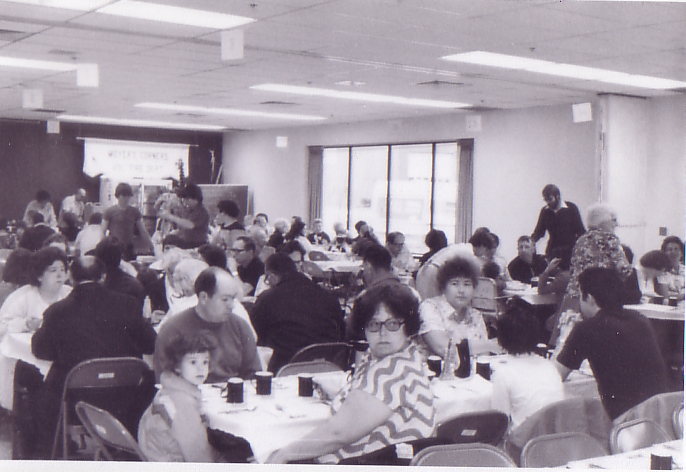 The auxiliary held smorgasbord dinners, cabaret nights, postal auctions, smokerettes, and saved labels for CCA contest. 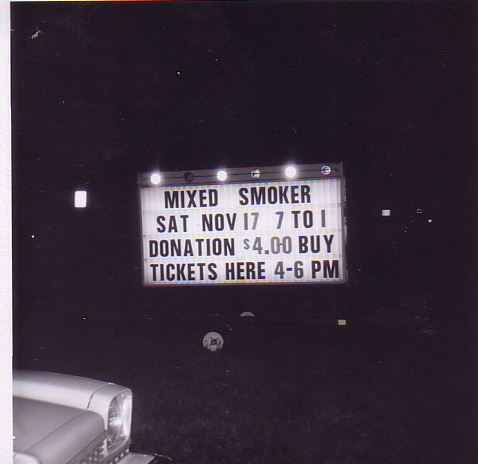 In addition, they held monthly dinners for Suburban Gas Company and sold refreshments at Bingo. The men's softball team won the Northern Section Softball Tournament one year, and the VFW in Phoenix put on a clambake for them, in which they purchased the tickets. In 1966, one of our bigger expenses was three deep fryers for the men's fish dinners. Several times trhough the year we would hold dinners and invite the wives of the firemen whom were not involved in the auxiliary. 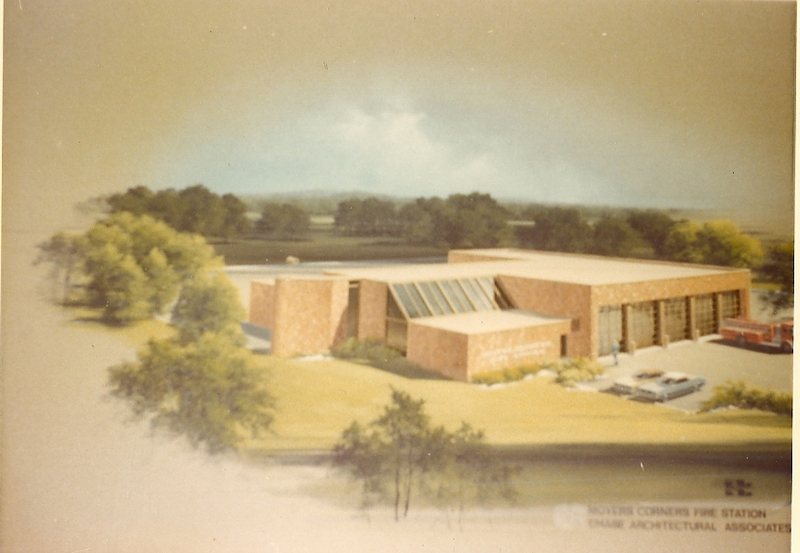 1973 was the ground breaking for the new Station 1. We purchased a complete set of Syracuse China for the kitchen; before we only had odd pieces of china. waitress stand, freezer, six new talbes, and a trailer sign for the front of Station 1. We also gave money to the burn unit at Upstate Hospital. In 1978 and 1979, they donated $1000.00 to the ambulance fund drive. Ath this time, they also put on luncheons at the Plaza Nursing Home. 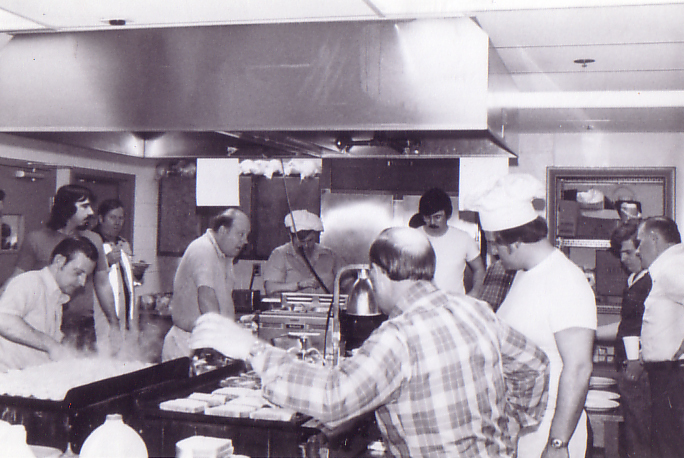 In 1979, they held a spaghetti supper to supply the kitchen for Station 3. During these few years, they also helped the fremen with their pancake breakfasts on Sunday mornings. The Moyers Corners Fire Department Auxiliary has also adoped firemen at the Firemen's Home in Hudson, New York, and donate annually to the small change fund at the home. 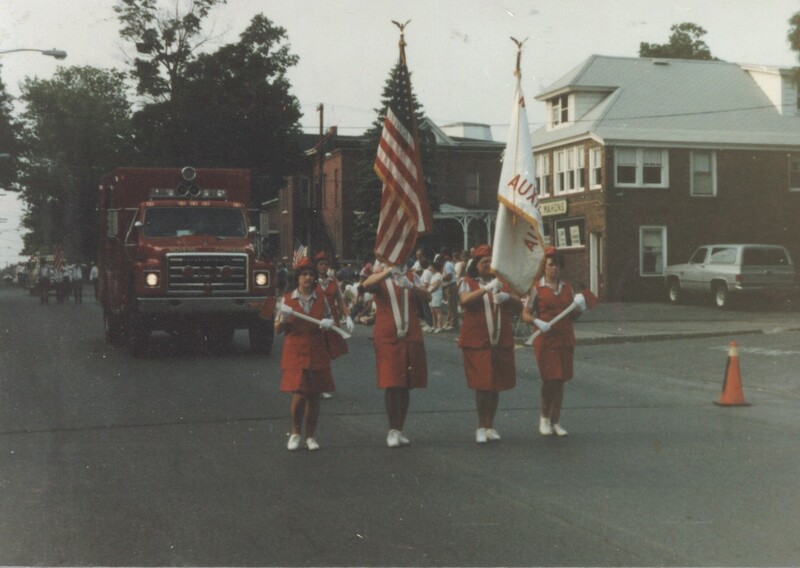 In the 1980's, the auxiliary continued to donate to the Fire Department and Rescue Squad. They purchased new drapes for the stations, kitchen equipment and supplies, and have donated money to the firemen to finish remolding the Day Room. The also purchased a fire radio for the purpose of responding to 10'10s (Signal 99's) quicker. Historic Article submitted and prepared by Betty Brand and Lorraine Sahm.